This is a delightful moment. I am co-authoring this blogpost with guest blogger, Calvin H. For those of you who do not know, Calvin is my middle son who turned 11 this week. His birthday and the activities that surrounded it are something that we’d like to share. Hi, I’m Calvin. I turned 11 on Tuesday. This year I didn’t want a party. Instead, I asked my mom if she’d take me and my brothers to pizza and a movie. 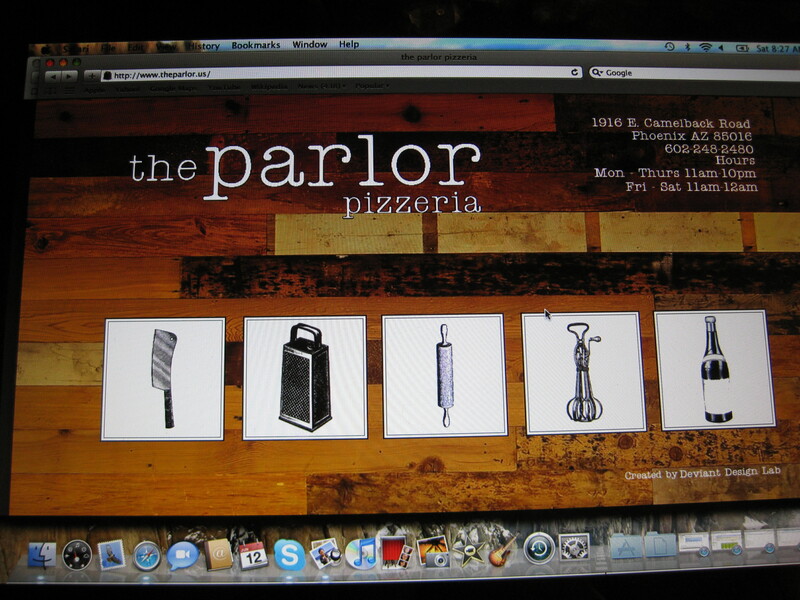 Mom gave me some choices of restaurants and I chose the Parlor Pizza place. We got there around around 6:00 and it was already pretty crowded. I think that’s good because it means the restaurant is doing a good business. When you first walk in you see a garden. There was a bright red strawberry on one plant. I think they grow this stuff to use in their restaurant. We ordered a couple of BLTs and two pizzas. Mom was even able to get a glass of local wine. The food was good. Our bill was about $50 and mom added a tip because the waiter was so nice and because he brought me chocolate and cherry cake with one candle. It was yummy. After we left the restaurant we went to the Harkins movie theater to see Marmaduke. We picked the theater because the movie was showing at the right time and because the theater is owned locally. I really liked the movie because it was funny. My two brothers liked it too. My oldest brother said the bad dog reminded him of one of his teachers. It cost us about $40 to see the movie. Mom showed me an article about Local First that said if you spend $100 locally, you keep $42 here in the state. But if you spend $100 in a chain store, then only $13 will stay in the state. So, my birthday dinner with the tip and the movie cost about $100. I know that $42 will stay here. My birthday was fun and I did something good for our community. How can you help your children learn about community through everyday activities? Thanks mom. This was fun to do. PS: Why do the timestamps on these comments show 4 PM? Do you see that too? I think the timezone of your blog might be set to GMT, instead of Arizona time. Yes, wordpress is not synched up with the time. They’ve posted on how to do it but frankly, it wasn’t really clear. Nice post, Calvin! I always learn something new from your mom, and I learned something new from you today (the 42% rule), so thanks. Your welcome Nourishing. The article said that the 42% comes from a University of TX study. Tears of JOY! Deep Joy. Calvin, what a wonderful Young Man you are! And learning, from awesome parents…Ohhh, I wish I could be one of their children too! You have taught me about ‘buying’ locally. Thank you for teaching me of this grand lesson to give forth nearly half of the money to be left in our community! Great post! I didn’t know there was such a big difference ($42 vs. $13) if you buy locally, although we try as much as possible to patron locally owned entities. One way we have taught our children to support locally owned and run businesses is to shop at farmers markets. An added bonus is that you actually get to converse with the people who grow your food for you creating more of a social connection rather than a strictly business relationship. That helps to foster a more intimate community. You’re absolutely right about the social connection. I keep seeing a study quoted about that very thing but haven’t been able to get my hands on it. If you hear or see of it, let me know. Way to go! Great post; great lesson learned. Calvin, you have a super teacher. Happy Birthday, Calvin! Glad you had a nice birthday celebration at local establishments! If you want to change your time, to to Dashboard, then Settings. UTC time is the default setting. Then choose whether you want pm, or PM, or the 24 hour clock. Thanks for co-blogging with Calvin. It was lovely to meet him. Thanks Nancy. That was much easier than what I read. Calvin, Happy Birthday revisited! It sounds like a wonderful day and I adored talking to you. We will celebrate your birthday again, here and all local. Thank you Tammy and calvin for all the inspiration to many and probably thousands when it is all said and done. I enjoy sending the blog to many and all appreciate the wonderful information and inspiration. I must get back to the garden and preparing a wonderful wedding lunch for tomorrow. All natural and vegetarian. Beautiful now with so many edible flowers and forest fauna to use. I am inspired by the thought and wisdom of all the words from both you and Mom. Thanks for reading Sally and for sending it on to your friends. We really appreciate it. What a wonderful post! Sounds like a perfect way to celebrate your birthday! You are a delightful writer, Calvin! What a great idea and an even better article! Congrats and Thanks to both of you for sharing!! Happy Belated B-day to Calvin too!! Thanks for reading Tim. This was fun for us. Happy b-day Calvin – We saw Marmaduke too. My girls loved it! 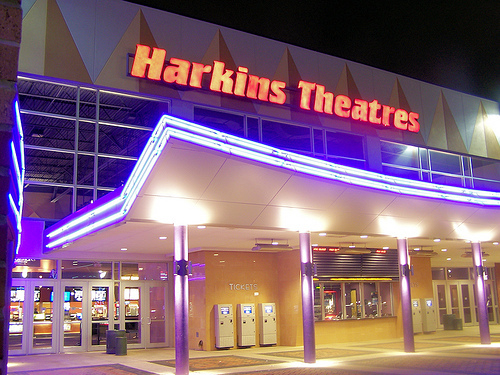 Harkins is our favorite theater because of the local connection. Thanks for the education on buying locally! And I have to tell you any time I hear your Mom mention your name – I think of my favorite characters Calvin and Hobbs! Love it! what a great post – happy bday! Happy belated birthday Calvin! What a great evening–wish we could have joined you on your special day. I think it’s awesome that at such a young age you are already looking at how and where you spend your dollars. If everyone just spends at least $100 of their purchases locally, think of the huge impact we can have right here in our own city. You have shown us that it is possible–and easy! Thank you Aunt Lisa. We can all go another time. Happy belated Birthday to your son! What a wonderful way of celebrating your birthday. So thoughtful of you. At first I thought it just a fun project but we’ve gotten a lot out of it. Writing, learning, choosing who should respond, etc… Definitely recommended. Hi Calvin, Happy belated Birthday. The place I live has just started opening its doors to out of state and international chain stores. The information you have shared is very useful. A good idea to promote and encourage local business. Thanks for reading our post. It is interesting that where you live is only just opening the doors. Certainly, variety comes with that choice but there are down sides also. There are probably some planning models to optimize the opportunities. Another great post! I try to buy U.S.A. as much as possible and to support the local businesses as well. But I did not know that statistic of 42% stays in the local economy when making Mom n Pop purchases. That is useful info for the owner of a 100% U.S.A. product. Thank you. Yes, it is a good statistic to know. I’ve heard it a couple of different ways. I’m looking at a study right now which is showing a $1.75 factor for each $1 in local purchases. That’s a good number to know also. Nice post! Happy birthday to Calvin, and cheers to Tammy for encouraging his interests and teaching about money management and supporting the local community! You’re a great team! Thanks Camille. I agree that there are a lot of great lessons in this (and in writing the post too). you! First of all, you sound like a guy who knows how to have a good time – that’s important! Secondly, you like to have fun with people you love -I do, too – it makes the fun even FUNNER. Third, you are already way smart about money and how it is a tool you use not just to get stuff you want (pizza, BLTs and a funny dog movie) but to change the world. I’m really old (61) but when I was around your age my dad started teaching me about money. I saved to get my first bike. I still remember that bike (it was blue and we put some cool streamers on it) and how much it meant to me. I hope the things you are learning will also feel good to you 50 years from now, like what my dad taught me. And I feel good that the world will be in your hands – sounds like you know how to take care of a world. I like that in a kid. First of all, HAPPY BELATED BIRTHDAY!!! 🙂 it seems you and your family had a good time celebrating. I think it was very nice of you to pass on the typical party scheme and use your time wisely with your family. You’ll thank yourself in the future for doing that, trust me I’m becoming an old man myself and realize that family is VERY important to me. 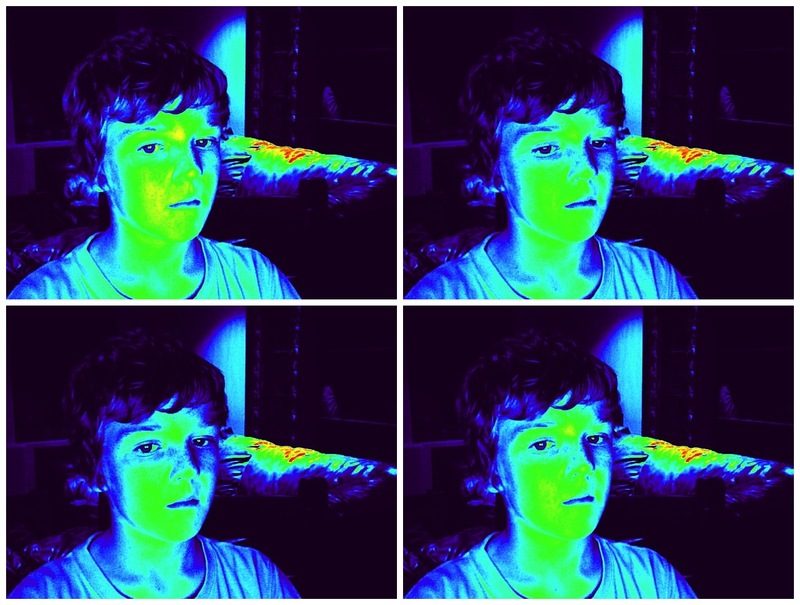 Keep up the good work and enjoying being 11!!!!! Fabulous post!!!! As a teacher, this just makes me SO happy to see. “Teach Your Children Well”, what a wonderful mantra. Thanks, Tammy! You are welcome and then we painted our feet blue and ran in the street! I think it is really great that you are already thinking about how you can contribute to your community by making good choices as a consumer. I applaud your effort, and really think that you are improving the future, and making the world you will inherit a better place. Keep up the good work! I am really impressed. I see so many adults let alone children without such consciousness. Keep up the good work to you too! It’s a journey and I’m enjoying it – he is a special kid and I’m very lucky to be able to indulge him in my interests. This whole thing was fun to read. I enjoyed all your comments! Wonderful post Tammy, such a great idea to co-author this post with your son! Happy belated birthday to Calvin! Thanks Estrella. This was a fun project for both of us. What a great shared lesson and adventure. You are building beautiful memories and an amazing young man! Happy Birthday to you! And mom what a great party and with a lesson as well. It blows my mind when I hear those stats even though I’ve heard them before. Thanks for sharing your joy with us. Yes and there are more and newer studies coming out when reinforce these numbers. Thanks Kathy. It was very fun. The blog will be as good of memory as the cake! oh i love this! how special…..
It’s been great fun for the two of us – the celebrating and the writing. This is a fantastic lesson to learn and share, not to mention fun, and will stay with you forever! We agree. Thanks for reading! Kudos to all of you for being so socially conscious! What a great birthday party! Thanks Julia. Every little bit of consciousness raising helps. Great post! Calvin, you are a great writer! He’s at camp this week so thanks on his behalf!